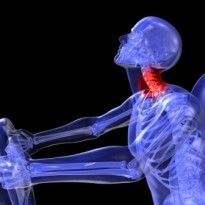 Cervical osteoarthritis causes mild-severe neck pain, stiffness, joint locking and muscle spasms. Occasionally complications can occur that generate symptoms like pins & needles, weakness and numbness into the arm. 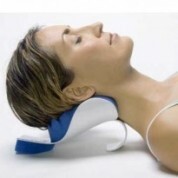 It develops gradually and you are likely to have had neck pain on and off over a few years. Characteristically pain and stiffness levels are worse in the morning relieved by getting up and moving for an hour or two however the pain and stiffness will start to return by the evening. 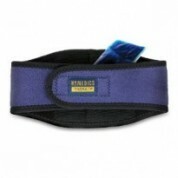 Gentle exercise and moving around helps relief pain levels as does heat or cold packs. Any prolonged static postures or rigorous activity aggravates pain levels. It most commonly develops with the over 50 age group however can happen as early as 20 years old. What it is cervical osteoarthritis? Cervical osteoarthritis is also known as cervical spondylosis or joint degeneration but you will probably have heard most people use the term “joint wear & tear”. Wear and tear encompasses exactly what this condition is. Cervical osteoarthritis is a chronic degenerative disorder that affects the articular cartilage and the subchondral bone in the joints of the neck. As the term “wear and tear” suggests the degeneration of these surfaces is a gradual repetitive process. Your neck depends on your discs and facet joints to link the spinal vertebrae not only to allow but also control the movement of your neck. 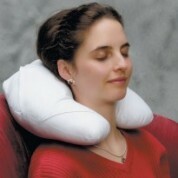 The joints in your neck are designed to withstand wear and tear pressures. 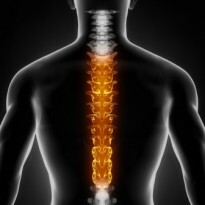 The affected joints in your neck are called facet joints this is where the vertebrae above and below meet. The boney surface of a joint is known as subchondral bone. Either side of the joints subchondral bone never meet as they are separated by a protective layer of articular cartilage that covers both boney surfaces. In addition, there is small amount of thick fluid called synovial fluid that cushions the joint ends and this is encased in a capsule that contains the entire joint. 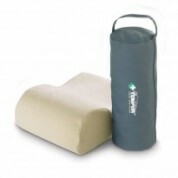 The smooth cartilage, fluid and capsule allow the joint to move in a smooth, flexible and stable manner. Now consider how much you move your neck on a daily basis and imagine how much stress these joints injure over your lifetime. Your body is designed to repair some of this daily joint wear, however in cases of more pronounced or prolonged injury your body struggles to repair all of the damaged articular cartilage. It is this abnormal damage that starts to erode the cartilage surface. This exposes sections of the subchondral bone below and leads to further damage. The exposed subchondral bone on the outskirts of the joint react by growing new bone spurs called osteophytes. This is in attempt to compensate for the loss of articular cartilage. At the same time as this the cartilage is breaking down and starting to mingle with the synovial fluid. On movement these bits of cartilage floating in the joint causes a crackling and grinding noise called “crepitus”, this by itself can be painless. When the joint capsule’s cells start trying to clean up and remove the fragments of the cartilage an inflammatory reaction occurs inflaming the joint capsule and the synovial fluid. These new bone growths mixed together with the joint capsule inflammation, can be both painful and very debilitating. What does cervical osteoarthritis feel like? Cervical osteoarthritis initially presents itself as mild neck pain and stiffness. Due to the fact that it normally involves more than one joint then it is more likely to feel like generalised neck pain rather than a pinpoint pain location. Gradually as the joint becomes more and more degenerated the joint pain symptoms will be coupled by intense stiffness leading to severe loss of neck movement. The joint stiffness levels can result in painful joint locking. As a result of the stiffness and secondary to the pain, the muscles surrounding the neck may start to weaken, and the ligaments may become more lax. This can lead to unstable and more injury prone joints. The surrounding muscles and tendons may start to spasm and contract this is a compensatory reaction with the aim to secure and support the joint. Cervical osteoarthritis is a slow and gradual condition that occurs over many years. The pain levels can be mild from day to day however during flare ups pain levels can be very high, patients are advised to rest throughout a flare up. The pain has been described as a sharp pain, an intense dull ache almost like toothache and also like a burning sensation. The stiffness levels are characterized by stiffness worse first thing in the morning that improves after moving around for half an hour to an hour. Pain levels gradually worsen throughout the day reaching the worst levels in the evening. 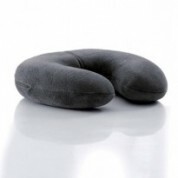 Rest provides the most relief as do gentle movements and heat packs over the affected area. Prolonged static postures aggravate pain levels and some sufferer’s also link cold weather changes to increased pain levels. The pain doesn’t always stay localised to the neck and quite often leads to headaches on the base of the skull or forehead. 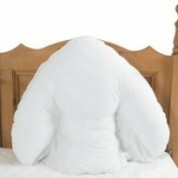 It also has the ability to radiate down towards the shoulders and in between the shoulder blades. The muscle spasm that occurs can also be very painful itself. Complications can occur if an osteophyte grows in close proximity to were the nerve from the spinal cord branches of to the arm. If the osteophyte compresses or impinges the nerve it can cause quite severe arm pain, pins & needles, weakness and numbness quite similar to the symptoms seen in a cervical disc herniation. Similarly if the osteophyte impinges on the spinal cord it could lead to a condition that is called cervical myelopathy. In some instances high levels of degeneration can result in a weakening of the joint and lead to cervical Spondylolisthesis. 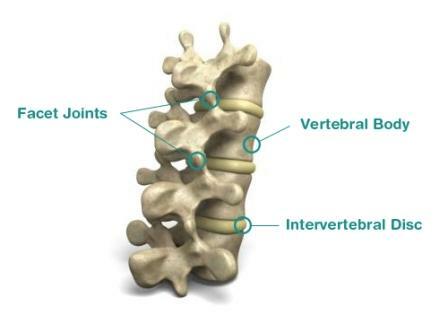 This is when one vertebra becomes unstable and slips forward over another. This rare in the cervical spine and is much more likely to occur in the lumbar spine. Why & when does cervical osteoarthritis happen? Primarily osteoarthritis is just thought of as a chronic degenerative disorder associated with ageing. However some people live well into their nineties with no signs or symptoms of the condition. It is true that as we age we lose some of the protective elements of our joint surfaces. We don’t retain water as well, the blood supply to our joints lessens, our body is not so quick or effective at repairing worn surfaces leaving our cartilage in our joints is more susceptible to injury. Secondary causes of Osteoarthritis have been linked to genetics with some cases linking to a hereditary development of the condition. Our lifestyles can also contribute, obesity creates a greater load on your joints in particular the knees and hips and in these cases osteoarthritis is more prevalent the levels and extent of the degeneration is more severe. Occupations and hobbies can lead to repetitive loads like running or the use of drill equipment can lead to the early onset of the condition in most directly affected joint. Previous injuries such as fractures or sprains can also initiate early degeneration of the cartilage. It is estimated that over 8 million people in the UK suffer from a form of osteoarthritis, affecting a greater extent of women than men. The condition can be brought on at any age occasionally as early as 20, however in most cases signs and symptoms start to occur in people over the age of 50. osteoarthritis can develop in any joint of the body but most commonly affects the spine, hands, feet, knees and hips. 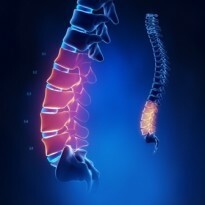 How is cervical osteoarthritis diagnosed? Your GP will be able to diagnose you by both listening to your history and examining you. An X-ray of the affected area is normally recommended to confirm the diagnosis and to evaluate the level and extent of the degeneration. What treatments are there for cervical osteoarthritis? Treatments for cervical osteoarthritis are usually nonsurgical, however in the occasions where osteophytes have impinged a nerve or are precariously near to compromising the spinal cord then your GP may refer you to a specialist who will shave back the boney growth. Spinal surgery carries high risks therefor it is only considered on an individual basis if the benefits outweigh the risks. Unfortunately there is no cure for osteoarthritis. Instead treatment is normally aimed at reducing pain levels and preventing further degeneration. Sufferers normally opt for a combination of treatments, most importantly modifying their lifestyle and avoiding or adapting certain activities to minimise any potential discomfort. It is incredibly important for people who are overweight to factor in weight loss as part of their treatment as it has been shown to radically reduce pain and stiffness levels in particular cases where the knees and hips are involved. Rest is important through the severe flare ups but it is equally important to start lightly exercising your neck as soon as you feel you can. Light exercises provided by your therapist or trainer will not only strengthen your neck but also maintain its flexibility and help prevent any further neck stiffness. Many sufferers find massage therapy and manipulative therapies such as chiropractic, osteopathy and physiotherapy to be helpful in preventing the severe flare ups but also help with the general day to day stiffness and pain levels. Your GP will most likely prescribe anti-inflammatory painkillers to reduce and control the painful inflammation that occurs with the severe episodes. Topical creams such as capsaicin cream has been said to help relief the pain, the cream made from chili peppers effectively masking the pain by blocking the nerve cells and preventing them from sending the pain signals to the brain. It is said to be particularly effective when used on the hands or knees, although not everyone finds it useful. Allot of sufferers have also opted to take glucosamine and chondroitin supplements as they are components found in cartilage, however recent studies have questioned the benefits of these supplements for osteoarthritis. The National Institute for Health and Clinical Excellence (NICE) has gone to the extent of not recommending the use of chondroitin for the treatment of osteoarthritis as their studies showed no clear evidence that it is an effective treatment. In more severe cases your GP may use muscle relaxants or even cortisone injections to reduced inflammation and relax any muscles spasms. You can help yourself by using either heat or ice. 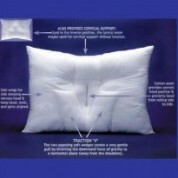 Which one will depend on the individual person some sufferers prefer to use a cold or heat pack. It is advisable to apply them in the evening or after any painful activity like a long day gardening. 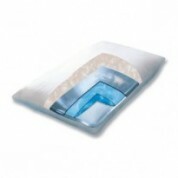 An ice pack should be covered and applied for 10-15 minutes and left off for 30 minute intervals whereas a heat pack should be left on the affected area for 20-30 minutes. Tens machines are also found to be helpful. Binder AI. 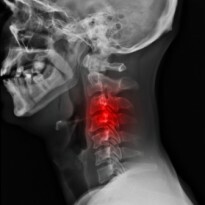 Cervical spondylosis and neck pain. BMJ. Mar 10 2007;334(7592):527-31. Shedid D, Benzel EC. Cervical spondylosis anatomy: pathophysiology and biomechanics. Neurosurgery. Jan 2007;60(1 Supp1 1):S7-13. Alexander JT. 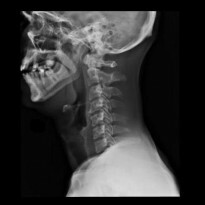 Natural history and nonoperative management of cervical spondylosis. In: Menezes AH, Sonnatage VH, eds. Principles of Spinal Surgery. 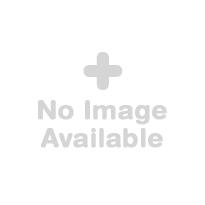 New York, NY: McGraw-Hill; 1996:547-57.